Master developer Nakheel has begun work on a new 55-storey residential tower, 16-screen cinema complex, multi-storey car park and retail expansion – with a combined total project value of Dh850 million – at Ibn Battuta Mall in Dubai. Nakheel has awarded a contract worth nearly Dh23 million to Dubai-based National Gulf Constructions LLC for enabling works at the site, located on the southern side of the world-famous mall, adjacent to The Gardens community. With a built-up area of 675,000 sq ft, Ibn Battuta Residences 2 will soar 55 floors above Ibn Battuta Mall, dominating the Jebel Ali skyline and creating a new landmark for the area. 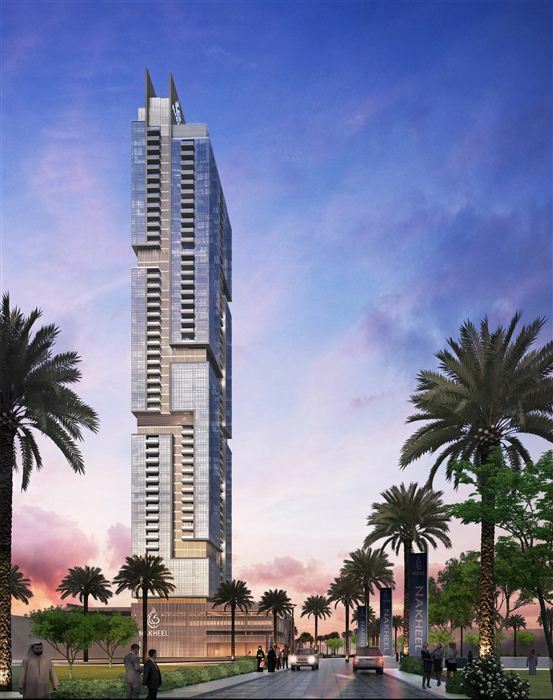 With 279 high quality apartments, the tower will complement Ibn Battuta Residences, Nakheel’s 48-floor twin-building apartment complex, announced last year. The three towers have 810 apartments between them. Directly connected to the mall and its 400 shops, restaurants and entertainment facilities, Ibn Battuta Residences 2 will have 108 two-bedroom and 171 three-bedroom apartments, available for lease, plus ground floor retail facilities. he complex will also have a 32,000 sq ft landscaped park with a 200 metre jogging track, children’s play area and shaded seating. Ibn Battuta’s new, 16-screen cinema and dining complex will cover more than 700,000 sq ft, including 114,000 sq ft of leasable space. Built over four levels, the new facility will boast a multi-storey car park with nearly 1,400 parking bays as well as a range of casual dining restaurants and cafes. Offering luxury and standard viewing packages, the new dine-in cinema will complement Ibn Battuta Mall’s existing 21-screen cinema, located at China Court. Construction proposals are due for assessment soon. The latest phase of Nakheel’s ongoing expansion programme at Ibn Battuta Mall includes 53,000 sq ft of shop space and 625 parking spaces across three levels. The new complex will be linked to Ibn Battuta Residences 2. With a built-up area of 260,000 sq ft, the extension forms part of Ibn Battuta’s existing India Court, and will feature nearly 30 new shops. The new projects announced today are part of Nakheel’s phased expansion at Ibn Battuta Mall that is transforming the area into a sprawling retail, residential and leisure hub spanning an area of more than seven million square feet. Phase one, comprising a 300,000 sq ft retail extension, a 210 metre link to the Dubai Metro and a 372 room hotel, opened last year. Subsequent phases include a one million sq ft mall featuring a retractable roof for year-round shopping and dining, and a second hotel.